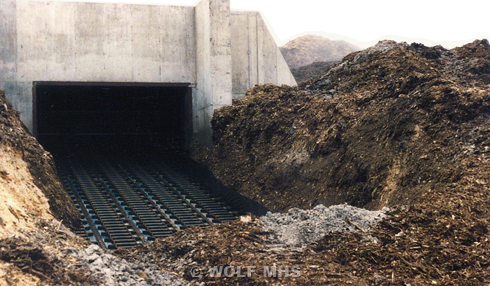 Wolf MHS custom designs and manufactures each chain conveyor for the required application as part of their “complete system” approach. The design will take into consideration material bulk density, feed rate, accessibility, maintenance, as well as many other factors. The design could incorporate single strand chain design, double strand design or multiple strand. The application may require a dust tight, gas tight conveyor to meet environmental conditions or open construction if applicable.